I feel like I should be embarrassed about how many lip products are in my bag, but I'm actually kind of impressed since it's a pretty small bag. I'm temporarily stepping away from one of my hand bag staples (the Dior Addict Lip Glow in Pink) to branch out and use up more lip products that are currently in my collection. I'm almost trying to branch out in terms of color and while almost everything in still on the warm side, maybe it's good that not everything is a dark red shade? The most worn out of all of these are Area + 1993 like mentioned in my favorites post (here! ), Mum, and Longing. I do use the other shades often, but those four shades have definitely been my top picks for the past couple of weeks. The shade Mum even makes me want to buy more burnt orange colored clothes so that I could match with that lip color more. That is how much I love this shade! I'm still struggling with dry lips and so when they're feeling in great shape mostly thanks to the Bite Beauty Agave Lip Balm, I would wear either Salted Caramel Mocha or Obsessed since they're a bit more drying than my other picks. Obsessed is actually pretty comfortable, but the super dry weather makes any matte products makes my lips feel bad pretty quickly. Side note, the Tony Moly Perfect Lips in Antique Brown is one of the creamiest lip products I've ever tried (without the slip) and I really want to get more shades but I'm on a low-buy. On the other hand, Holy Rose tugs on my lips a bit and could be a bit creamier. 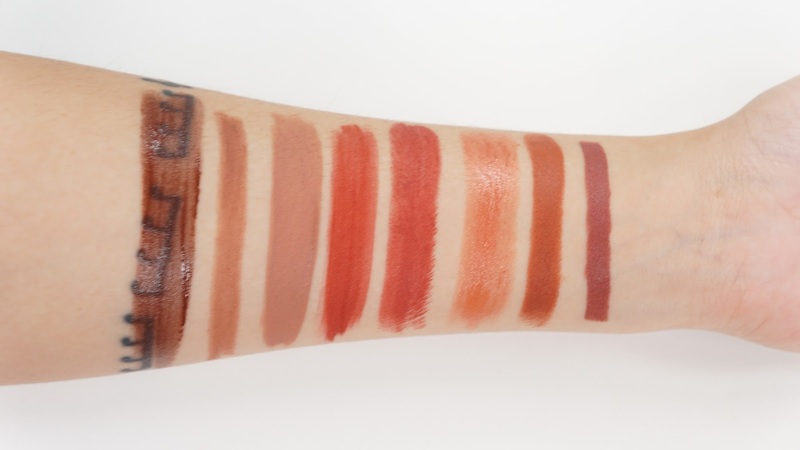 I do like the shade, but definitely not a formula I would go for again anytime soon. 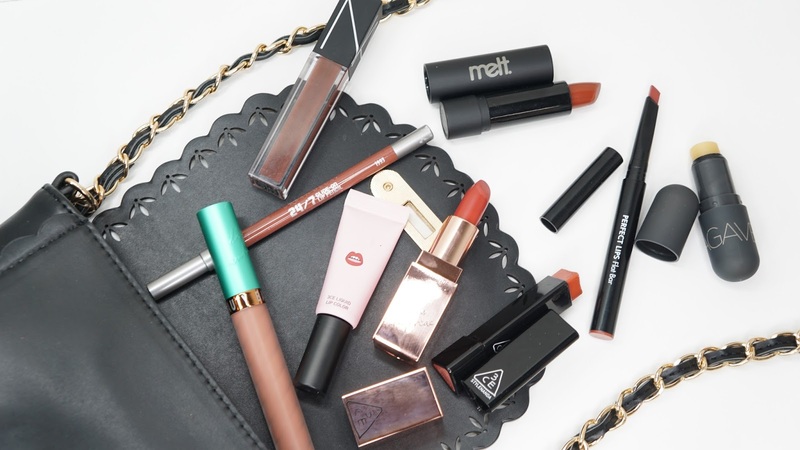 What lip products are currently in your handbag? Have you tried any of these lip products?